in West GTA for last 8 years! For your transportation needs to and from the airport, you will be picked up at your business or residence and be driven to your destination by our courteous and experienced chauffeurs. 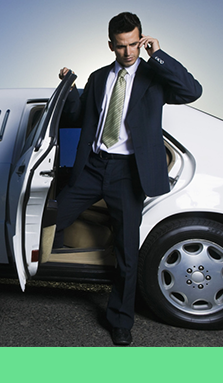 One of our chauffeurs will be there to pick you up upon your return as well. Our chauffeurs only work 8 hour shifts, unlike other limo or taxi transportation services that might be working an 18-20 hour shift, which ensures your safety. Today, due to the advent of the internet, customers have more choices than ever before for transportation services. 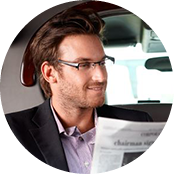 Only Limo to All guarantees a luxury experience with professionally trained chauffeurs that are fluent, courteous and have only one thing on their minds – how to make your limo experience luxurious, fun and relaxing. Check to confirm your route and alert you of changes and delays. Wait to pick you up 15 min before the arranged time. Can give you a courtesy call to make sure you will be ready on time. Check traffic and other delays and suggest an alternative route when needed. Competitive pricing, corporate discounts and loyalty programs in the Greater Toronto Area. "Thanks to Norman our driver & Limotoair service for picking our passengers up on time, getting us to the destination..."
"Thank you Danial for the wonderful service. Will keep your card for future and referrals to friends." "Danial, I wanted to let you know that last week Shakeel went way above and beyond and really helped me out of jam..."
"I've had a fantastic experience with Limo To Air. I’d reccomend them to anyone." Sign up today and receive to stay in touch! Your privacy is extremely important to us. The trust placed in us by our customers is absolutely essential to our success. We understand that and do all we can to earn and protect that trust. We do not share your personal information with any outside companies nor collect any information.